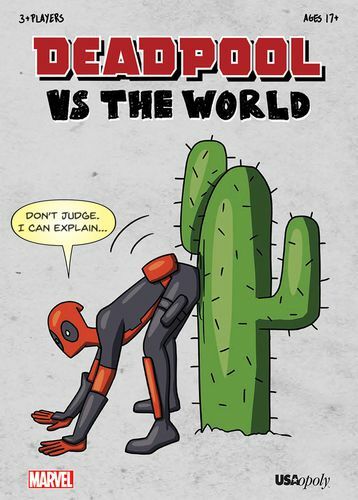 Turn off your Cable and put away your Dominoes, because it’s time to play Deadpool’s new party game! 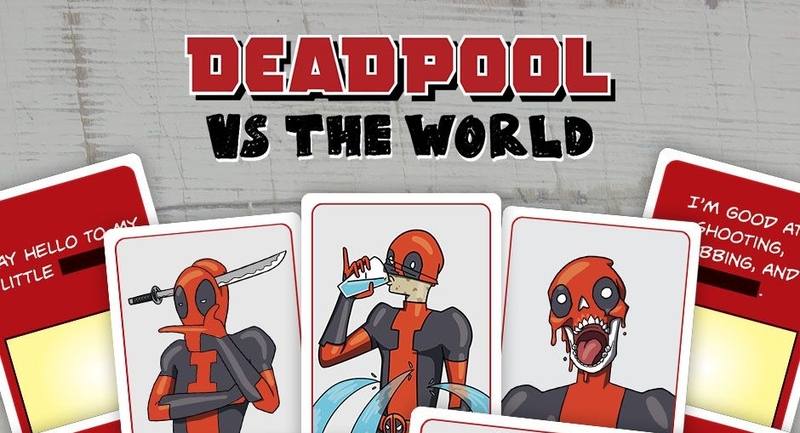 Deadpool vs The World is a please the judge party game which lets the players control the funny by filling in the blanks on their cards to complete their caption. On each turn, the judge for that turn flips over a WTF? card which shows our favorite Merc With The Mouth in some (for him) typical situation. 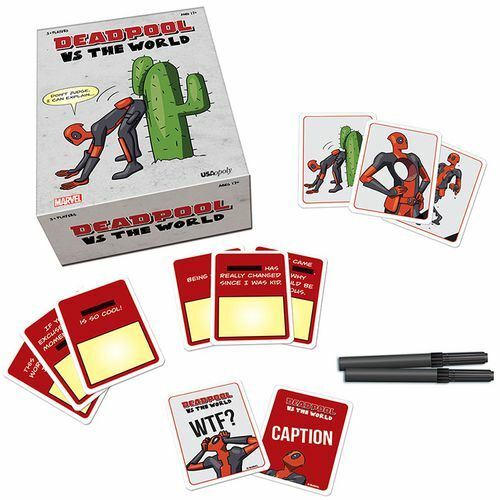 Then each other player picks one of the Captions cards from their hand and uses the erasable markers on their cards to fill in the blank of the caption on the card, completing the caption. Whichever caption the judge decides best fits the scene from the WTF? card wins the round and collects the card to score a point. Once the players reach the desired score or time limit, whoever has the most points wins.